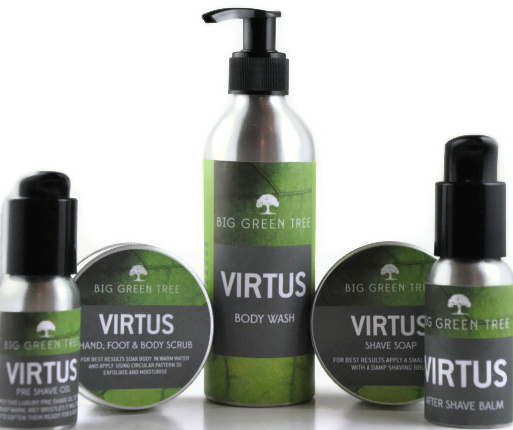 These new products add into our existing VIRTUS™ range and compliment your whole head to toe, daily regime. Beards, Moustaches and your good old Barnet are all very well looked after with these natural, nourishing products. Two options for Beards, an Oil or a Balm; two I hear you cry, why, what’s the difference….which one should I use? So the Balm will help to both nourish and condition your beard and if you have a rogue beard that enjoys doing its own thing this will help to shape and style, just warm the beard balm in your hands massage in to your beard and shape, combing through to style. Our Beard oils are fantastic, they are thinner and therefore soak in easily and are great for keeping your prized beard in tip top condition; and here’s a top tip; always apply to a dry beard, this way the active ingredients get pulled deeper into the hair. Since the early Greeks we have sported a variety of styles and shapes of moustache from the rather extravagant to the small and diminutive, so whether you are sporting a Dali or a Horseshoe our firm hold Moustache wax will keep you looking dandy and styled all day long; it comes in a handy metal container with screw lid so easily fits into a man bag or pocket in case of emergency at sea! And last, but not least the Barnet, short, spikey, wayward whatever your style, colour or cut our natural hair wax will keep your spikes spiked, or your fringe framing all day, with the added advantage that our carefully hand crafted product will nourish and condition along the way. Dreamy memories are evoked into life with our sumptuous Reed Diffuser range, built around high quality oils designed to awaken your sense and bring your Bedrooms and Living spaces to life. Presented in a simple styled modern tube, the round glass bottle is topped with a lovely wooden cap nested in fine wood wool; these Reed Diffusers are modern and stylish, whilst the long lasting fragrance will keep your interior spaces alive and fresh for weeks. Autumnal fragranced Spiced plum a heady mixture of rich succulent plum topped with a hint of warming Ginger. Dreamy is one of the words to describe our facial serum, designed to bless the skin with radiance and elasticity, the calendula oil helps the fight against thinning skin, whilst the raspberry seed oil with a natural SPF* of 28 – 50 helps defend against skin damaging UV from the sun. Raspberry oil is one of nature’s wonders, and for this reason it is high up our ingredients list; full of antioxidants this clever little fruit will deliver Vitamin E & A along with Omega 3 and Omega 6 fatty acids; these are the building blocks for healthy cell membranes, helping to deliver plumper and younger looking skin. 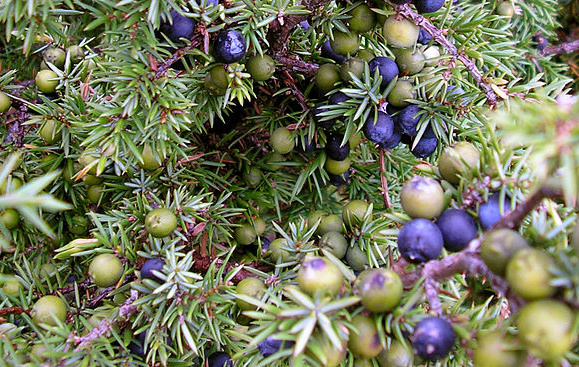 Our serum base contains natural Squalane oil derived from Olives; this little fruit helps to balance the faces naturally occurring squalane, which is very similar in makeup to that of the olive squalane and is quickly absorbed deep into the skin to prevent dryness whilst also stimulating new cell growth. Wrapped around these powerful oils is Jojoba a truly incredible natural oil (actually this oil is a wax) whose [natural] chemical makeup resembles that of our own sebum. So if you are prone to oily or combination skin using Jojoba will in fact mimic your own skins sebum level and minimise over production, helping to prevent shine and making a fantastic base to apply other moisturisers and makeup. Using the serum on a daily basis only takes a few minutes of your time, and requires only a few drops out of our contemporary design lead airless pump bottle. The best way to apply Serum is simple; we have 6 basic steps you need to take to enjoy all the benefits of this powerful fruity Serum. Why not compliment your daily beauty regime with one our 5 moisturisers designed for different types of skin and age and our natural Cucumber Cleanser and English Lavender Toner. 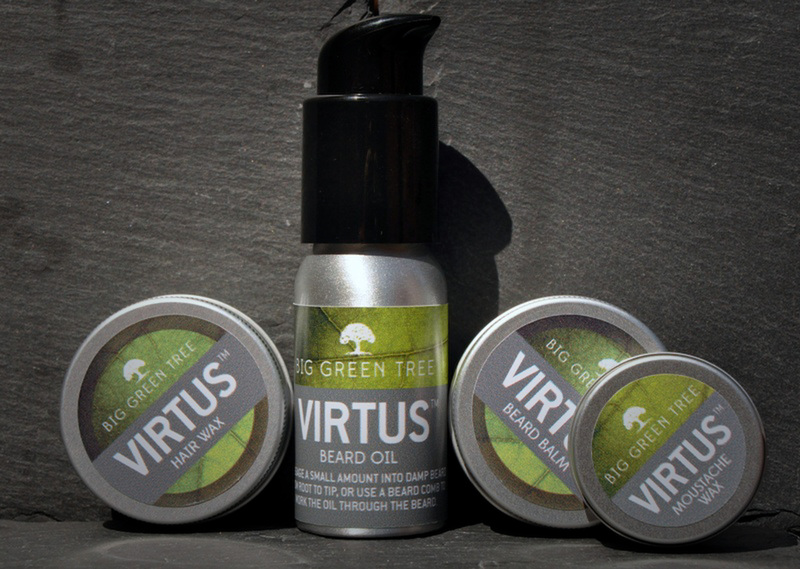 Big Green Trees skincare range for men is a high-performance range, Virtus has been designed to address the specific needs of men’s skin, harnessing the finest natural ingredients to help protect it from damage, re-energise it at a cellular level and ease sensitivity and irritation. 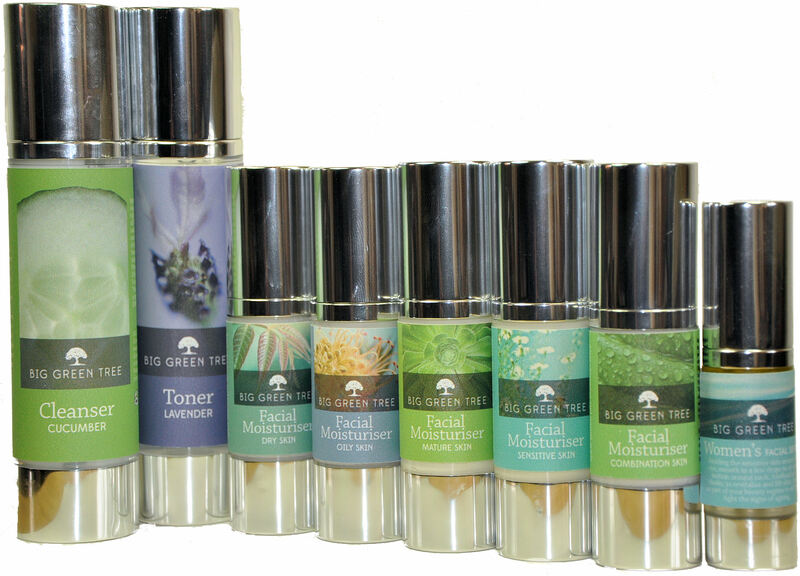 All of Big Green Tree’s products are free of Parabens, SLS’s and the other chemical nasties found in many high street brands, making them perfect for the man who cares about what he puts on his skin as much as how it looks. Pre-Shave Oil 30ml Compact and super-lubricating this shaving oil is designed to deliver the smoothest shave possible, softening stubble and keeping skin hydrated throughout the shave. Contains grape seed, coconut and sweet almond oil to lock in moisture and lubricate skin, Vitamin E to promote healing and Rice Bran Oil, used for centuries as a skin conditioner. Sensitive Skin Shave Soap 95grm This luxurious soap doesn’t just smell great, it’s formulated with skin-friendly glycerin and provides a rich, creamy lather to ensure effortless razor glide. Organic After Shave Balm 50ml With skin-soothing aloe extract, juniper to reduce inflammation and lavender and patchouli to speed up skin repair and regeneration this easily-absorbed and hydrating balm is the perfect way to end your daily shave. Sea Salt Scrub 100grm The ultimate way to ensure smooth hands, feet and body this all-over scrub is the ideal way to cleanse, exfoliate and polish skin. Also contains shea butter to help keep skin soft and supple. All Over Body Wash 200ml Containing the same masculine fragrance blend as the rest of the range (including lavender, which was revered by the ancient Romans and takes its name for lavare “to wash”) this rich wash is kind to the skin (thanks to glycerin) and is perfect for men suffering common skin complaints like athlete’s foot, psoriasis and eczema. 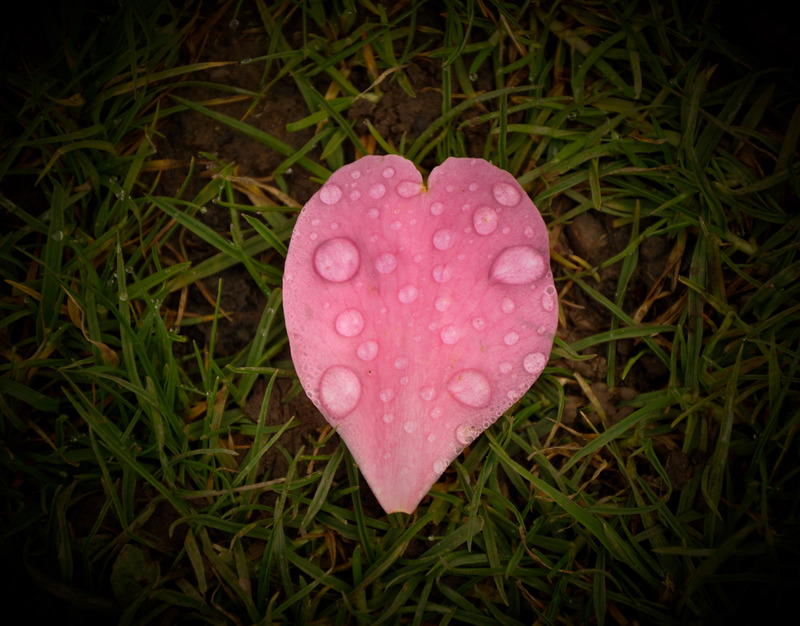 Emotion a true characteristic of the Human being and one which can be affected by the largest or smallest of events, whether a kind word to a stranger, a seat given up for someone in need or words of courage given from the heart. Always remember that your actions will live on in someone’s heart so make them positive and impactful, it spreads you know…..
Pre-shave oil will help to reduce skin irritations such as in growing hairs; razor bumps and it will also condition the skin and soften the bristles. Apply a few drops of oil into your hands using your hands to gently warm the oil up then apply to your face in an upward motion to lift the bristles ready for applying the shave soap. Then begin to lather the creamy suds onto you face, this you should do in a circular motion taking time to massage in well and all over, the mixture does not need to be deep, but a nice lathered “wet” texture to allow the blade to glide and slide over the skin. Be mindful not to use too much water or you will dilute the cream/lather. Shave with the “grain” of your whiskers using a heavy traditional shaver where possible as this will help draw the blade gently over the skin rather than being pushed against the skin. This process should be repeated twice with a re-lather up in between. This ensures all whiskers are captured and as long as you have applied pre-shave oil and a good quality shave soap the skin will not feel red and angry. Rather than applying an Eau de cologne or Alcohol based aftershave apply a soothing Aftershave balm instead. Unlike an alcohol based product this will not dry your skin but will help to soothe, moisturise and protect your skin. Apply in soft gentle circular motions around the shaved area. Your favourite Cologne or fragrance can be applied behind the earlobes, or below the shaved area. Natural luxury Shower oils are the ideal way to revitalise skin and lock in moisture as part of your daily Health & Beauty regime. Shower or bathe first, then dispense a small amount and smooth all over. 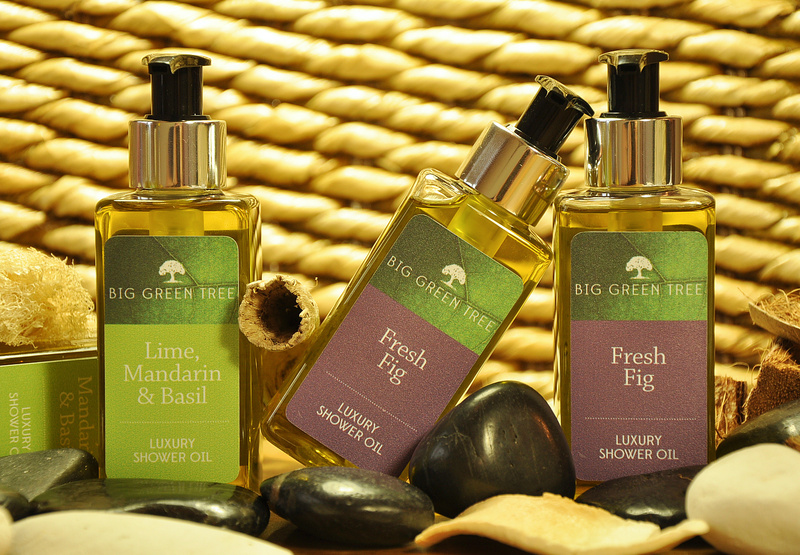 This wonderful Shower Oil comes in uplifting citrus notes of Lime & Mandarin or fruity Fresh Fig. The Calendula oil will help to protect skin with it’s Anti inflammatory & anti Bacterial qualities, whilst at the same time nourishing and locking in moisture. Avocado is a key oil as it helps to stimulate the production of collagen as well as being a superior moisturiser; long renowned for it’s ability to help heal damaged skin and reduce the signs of age spots. Coconut oil is a lovely base, helping to ensure this wonderful Shower oil leaves you soft and rejuvenated whilst quickly and easily sinking into the skin so it wont leave you greasy.